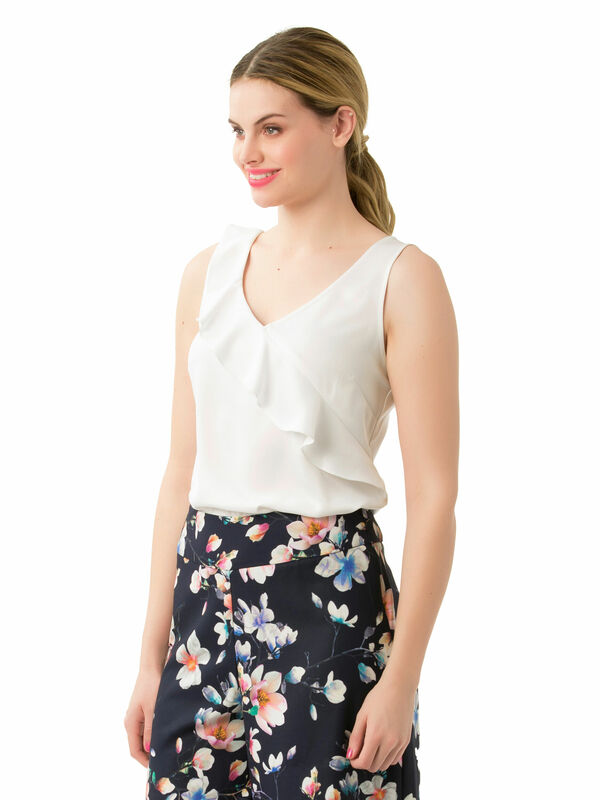 Benedetta Top https://www.review-australia.com/global/benedetta-top-white/RE19TW017.REWHT001.html A modern classic you'll wear for seasons to come, the Benedetta Top is a day to evening must-have. 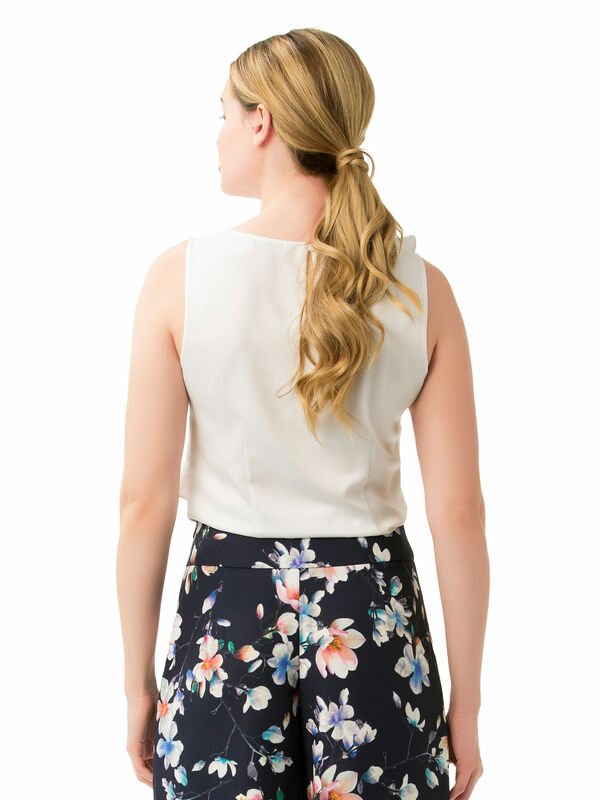 In a soft stretch crepe with a pearlescent sheen, the top has a regular fit. It features a deep v-neckline framed with a frill trim across the body. 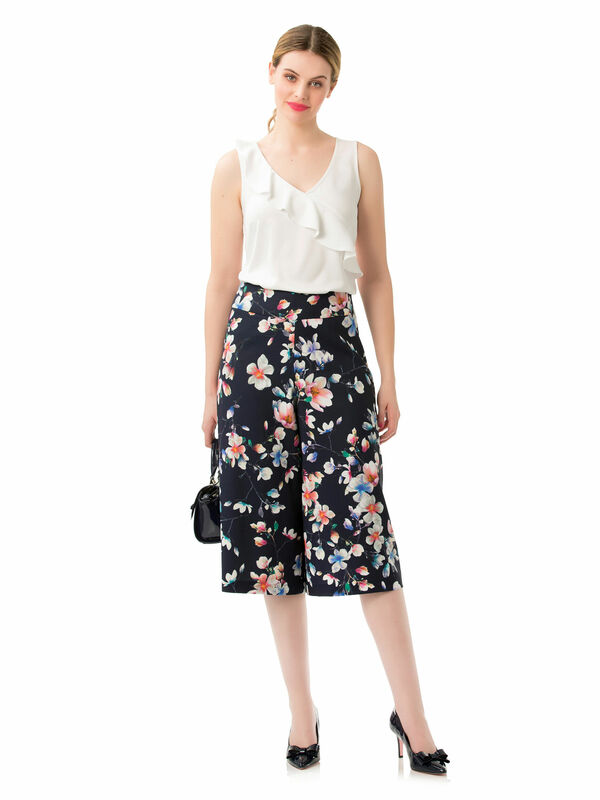 Worn with Swing Into Spring Culottes and Minnie Heels. A modern classic you'll wear for seasons to come, the Benedetta Top is a day to evening must-have. In a soft stretch crepe with a pearlescent sheen, the top has a regular fit. 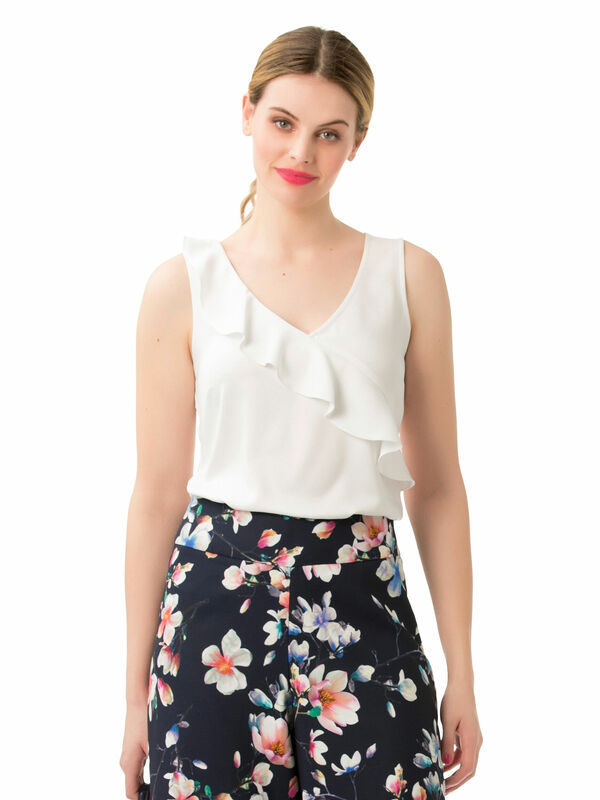 It features a deep v-neckline framed with a frill trim across the body.